Let’s Bleed Blue, Kentucky Fans! Save a life, and show your Wildcat pride. 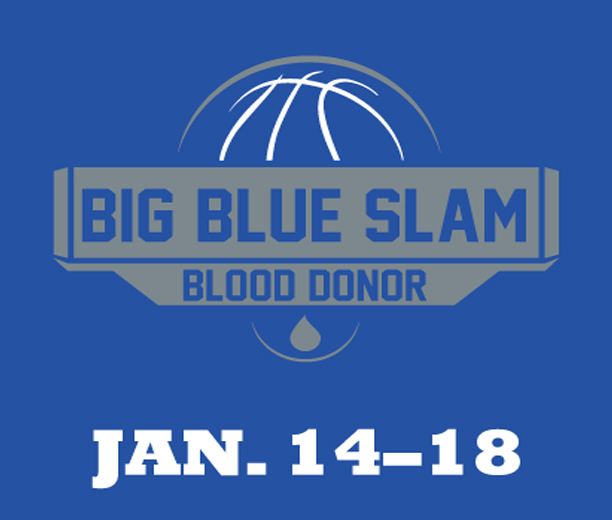 Donate blood Jan. 14–18 to help Kentucky slam the Gators in the 11th annual Big Blue Slam blood battle. Donate blood, and you’ll receive a commemorative long-sleeve Slam T-shirt, perfect for showing your Wildcat pride during basketball season. Click here to find a Slam drive near you. Kentucky Blood Center’s six donor centers will be open Monday through Friday, 9 am–7 pm during Slam.